About a week has passed since the verbal skirmish between Trump and Kim Jong-un, and experts, including the author, have frozen in anticipation of what the next steps will be like, seeing that the statements made by Donald Trump about the DPRK meant a declaration of war, as Ri Yong-ho, North Korean Minister of Foreign Affairs, stated on September 25, 2017 at a press conference in New York. The issue most actively discussed is what Kim Jong-un meant by “the most stringent countermeasures in history” and “taming by fire”. When he was asked about it, Ri Yong-ho, North Korean Minister of Foreign Affairs, suggested that this would mean testing “an unprecedented scale hydrogen bomb” over the Pacific. After his words, headlinesappeared in the European media that North Korea intends to conduct an above-ground or underwater nuclear test. Ri Yong-ho, however, specifically stressed that he did not know what kind of measures could be taken, because such decisions were taken personally by marshal. However, on September 30, the South Korean newspaper The Dong-A Ilbo reported that North Korea was moving several intercontinental ballistic missiles, and that this might be a sign of preparations for testing a thermonuclear warhead in the Pacific Ocean. Itsunori Onodera, the Defense Minister of Japan, even “appointed a date” – not long before October 10. Another option of countermeasures is related to the statement by Ri Yong-ho that the DPRK “has the right to shoot down strategic bombers, even if they are not in the airspace of our country”. It recalled the story of 1969 about the shooting down of an American reconnaissance aircraft, appearing to be a hint at American force demonstrations through the flights of B-1B bombers, whose last flight took place on September 23 in the international airspace along the eastern coastline of the DPRK. The point is that this time, the bombers took off much further north than previously reported, and reached a point near Sinpho, a North Korean town located 100 km from the 38th parallel. There was no invasion of the airspace of the DPRK, but it was not far from the test site in Phungery or the submarine base in Sinpho. In response to Ri Yong-ho’s statement, on September 25, Sarah Sanders, White House spokeswoman, stated that the US had not declared war on any state, and no state in the world has the right to strike a blow against foreign planes and ships in the international space. The official position of the White House boils down to the fact that a military solution is possible, but undesirable, a point the US President made note of on September 27 at a joint press-conference with the Spanish Prime Minister. Chairman of the Joint Chiefs of Staff of the US Armed Forces, Joseph Dunford, had spoken the same way a day earlier: the president also has military options at his disposal in case other measures prove to be unsuccessful. This position in some way reflects the American public opinion. According to a Washington Post poll conducted on September 18-21, 2017, 70% of Americans believe that the DPRK represents a “serious threat”. 67% of respondents support the strike if the DPRK attacks first, but only 23% of the respondents are in favor of a preventive attack. 82% of the respondents believe that the preventive strike is fraught with a major war, and only 37% are sure of the ability of Trump to resolve the situation. To this should be added unilateral demonstrations of force and new sanctions. On September 26, the US Treasury Department adopted a package of sanctions against eight DPRK banks and 26 people, which, according to the US department, were linked to the “financial networks” of the DPRK on the territory of China, Russia, Libya and the United Arab Emirates. On September 30, citing sources in the White House, The Washington Post stated that Trump had signed a directive on tougher measures on North Korea, which allowed the cyber command of the US national armed forces to launch operations against the DPRK. And in mid-October, a US Navy carrier strike group led by the nuclear aircraft carrier Ronald Reagan will arrive to the Korean peninsula accompanied by several warships, including a destroyer equipped with the AEGIS system, a missile corvette and a strategic Ohio strike submarine armed with nuclear-tipped missiles. Moreover, as the Chosun Ilbo announced, “in case of further provocations”, the US is considering the option of introducing an aircraft carrier into the territorial waters of the DPRK. At the same time, despite warlike rhetoric, no significant changes in the actions of the North Korean armed forces have been noticed. According to the media of South Korea, referring to the National Intelligence Service report, on September 23, when the US strategic bombers flew along the border with North Korea, Pyongyang took no actions. It is reported that, given the current tension, the North Korean authorities instructed the troops on the inter-Korean border to take any actions strictly after receiving the due order from higher authorities. 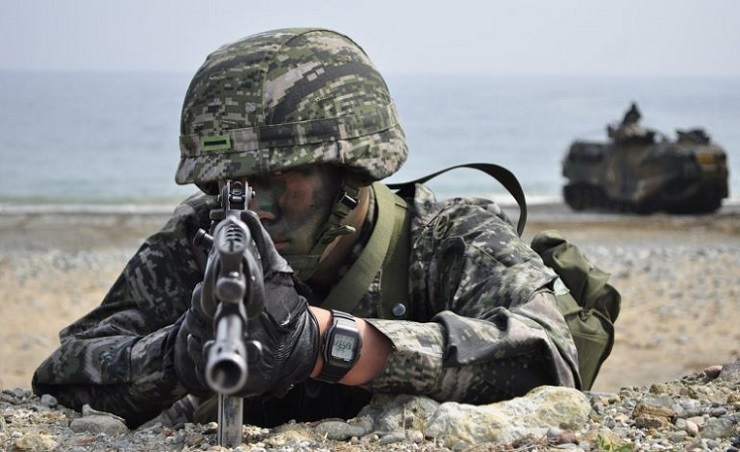 Nevertheless, South Korean troops have been placed on high alert status, as they believe the DPRK could take advantage of the long holidays and undertake some military provocations. However, the author would like to draw attention to things that seem to him sufficiently dangerous and deserving of attention. First of all, this concerns the risk that Marshal may develop a kind of “dizziness from success”. After all, he has been rather successful so far. 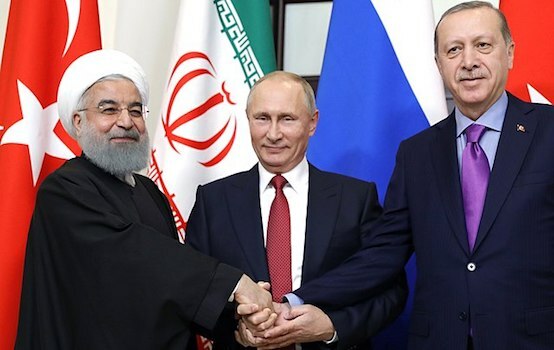 He has diligently played trump cards on the table, raising the stakes and counting on the fact that the United States will not risk going to war and, therefore, will have to engage in concessions. However, in such a situation, it is very important to observe a sense of level-headedness and not cross the line. When more and more risky actions succeed, a person begins to believe in his luck, and raises the stakes less justifiably than he should. The author wrote earlier that both North Korean American studies and US studies on the DPRK in many ways form a distorted image of the opponent. But theoretically, the United States (at least, within the framework of investigative work) has enough of the so-called “profilers” who, by making a psychological portrait of the North Korean leader, could try to predict his reactions, including the situation in which Kim could adopt a seemingly rational solution being able to bring catastrophic consequences. 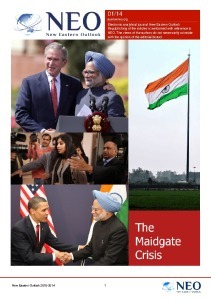 And here, we come to the second issue, which bothers the author. If we sum up some elements, then it may seem that the United States, on the one hand, has begun preparing American public opinion for the coming conflict, and, on the other hand, is looking for a way to provoke the North Korean leader into inappropriate actions or other things that could be used as a casus belli. If we look at what the US media have recently published to the mass reader, then we note a new round of the demonization of the DPRK, with these scarecrows designed specifically for the American audience. This includes the resuscitation of the story of the death of Kim Jong-nam, where the versions of the South Korean intelligence agencies are embellished with additional information about the difficult life of Malay prostitutes. It also touches on a new round of interest in the history of Otto Warmbier, when Trump first said that the young man had been tortured “beyond belief,” and then the parents of the deceased gave an interview in which they told that their son’s teeth were carrying signs of torture. And although, almost immediately after that, the coroner stated that the teeth were in order and no traces indicating the use of torture had been found, this statement was de facto ignored. The arguments are as follows: there are many tortures that leave no obvious traces, and therefore, when answering the question “Was there any torture or not?” the elements of external influence do not matter. Say, since the young man returned in this condition, and then died, it means that he had been terribly tortured. We also note conversations in the American expert community that “there is no evidence that the DPRK has created a real nuclear weapon.” From the author’s point of view, this is a hint at the practical launch with a nuclear charge. Meanwhile, the carrying out by the DPRK of a nuclear explosion in the atmosphere may not be an occasion for war, but it will significantly increase the isolation of the North in the conditions of the existing worldwide radiophobia and increased attention to the environmental consequences of nuclear tests. Let us not forget that one of the red lines that China has drawn is the contamination of Chinese territory as a result of tests or the destruction of North Korean nuclear facilities. From this point of view, a nuclear test in the atmosphere or underwater would cross all bounds, and irritation by this act could be very great. Even those whose attitude was neutral or benevolent would say “For such thing Kim should be exemplarily punished.” And they would say this harshly: most likely, in response to the new nuclear tests, there would be a new sanction resolution and it would willy-nilly involve the American project of a complete economic blockade, with all the consequences that the author has repeatedly hinted at, recalling the consequences of a similar embargo in 1941. One can say that Kim Jong-un is either being provoked or someone is attempting to create a situation in which he feels that the situation is so bad that it only remains to “go bang”. In both cases, the calculation is that Kim is making a move, after which he is just the man who is considered to be the initiator of the conflict, and the United States is getting a free hand from the world community, because America turns out to be on the “defensive side” and is on the war-path from the position “we did everything to avoid this situation, but they left us no choice … “. In this context, the author would really like to make sure that the DPRK officials will show a high level of political wisdom and be able, on the one hand, not to back down, and on the other hand, not fall for provocations by stepping wide into the trap.